Daily Deal featuring Maison Scotch — That Cost How Much? Last year, I was on the hunt for the perfect seasonless army jacket. After over a year of deliberation, I finally landed here. But if the $120 price tag scares you, this one from Maison Scotch via TJMaxx could be the one. 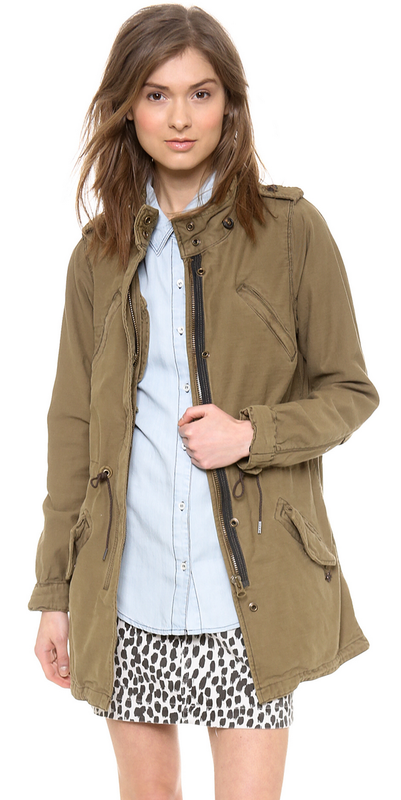 Their outerwear runs anywhere from $250-300, but this workhorse of a jacket is only $49.99! And today, TJMaxx is offering free shipping on all orders. This price is so good, I'm tempted to buy a back-up!